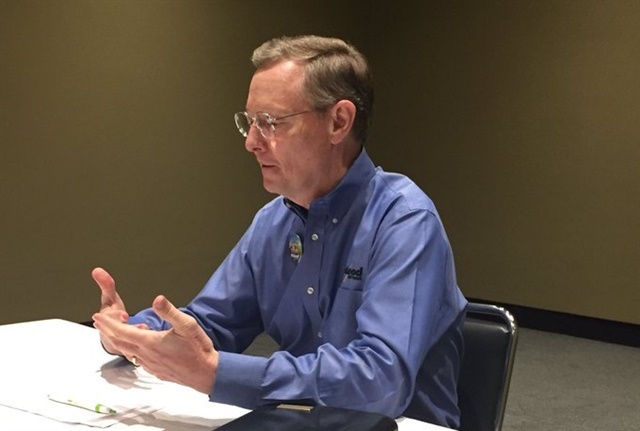 In a roundtable with trucking reporters at the McLeod 2017 User Conference in Atlanta, McLeod executives talked about a number of technology trends affecting their fleet customers and the industry at large, including ELDs, blockchain, and making sense of the vast amount of data available to fleets. 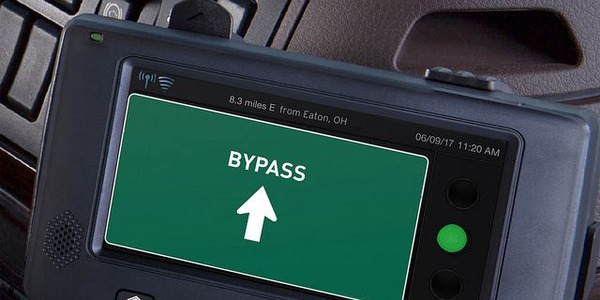 The most looming change, of course, is the electronic logging device mandate that kicks in Dec. 18. Fleets who are waiting until the last minute may have already waited until too late, McLeod told reporters. 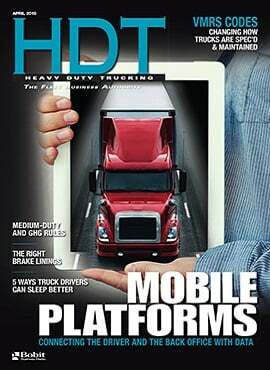 Using ELDs, he emphasized, goes well beyond just putting a new device in the cab. Some fleets, he said, won’t be able to make the transition and will go out of business. And some drivers, although not all, he predicted, will make good on their threat to quit trucking rather than use the devices. 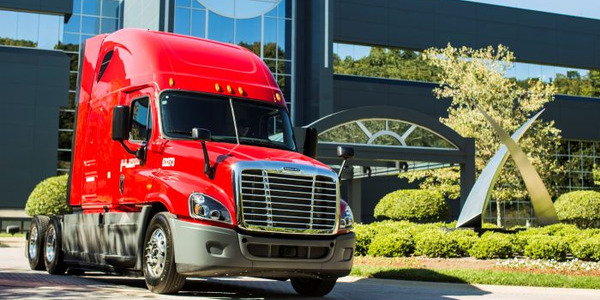 The former, he said, will “create opportunities for the carriers that are already managing electronic logs.” And as for the latter, while the driver shortage may cause headaches for carriers, it also may help drive up rates. 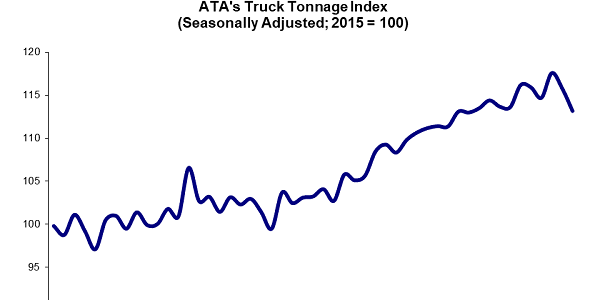 In addition, McLeod said, “I think the constraint on being able to find drivers will hopefully break the cycle of throughout the ‘90s all too often every time the economy would get a little better, trucking companies would go a little crazy and buy too many trucks,” resulting in overcapacity that drove down rates for everyone. McLeod is continuing to develop ways for customers to better manage the ever-increasing flow of data that can help their businesses. McLeod IQ, introduced at last year’s User Conference, is the next generation of Business Intelligence and has been well received by customers, according to the company. 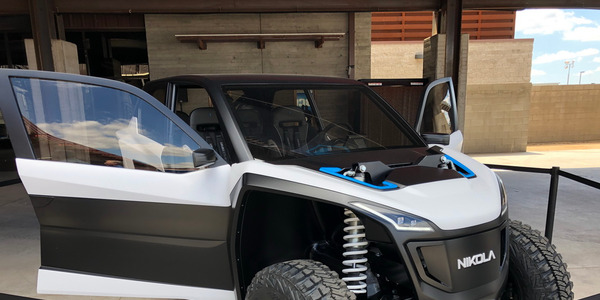 It uses Microsoft Business Intelligence products to create a multidimensional cube that aggregates a fleet’s important data in a way that is easier to understand and analyze. The initial version of IQ focused on operational insights, and over the past year, the company has expanded it to incorporate all of a customer’s financial data. 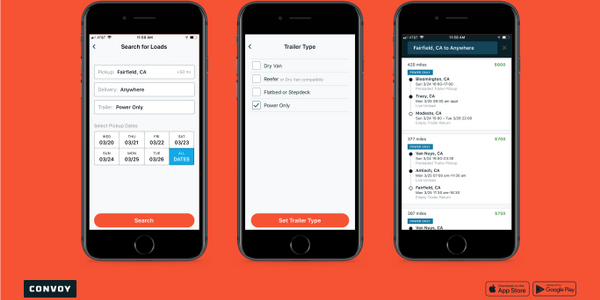 Now it also allows customers to pull in other data sources that may not be part of their McLeod system, such as the information from their mobile communications or vehicle maintenance systems. The full Microsoft Power BI suite of analysis and reporting tools also can be used with McLeod IQ. Tom McLeod told reporters that they are working with a company in their hometown of Birmingham, Ala., to analyze large amounts of data. 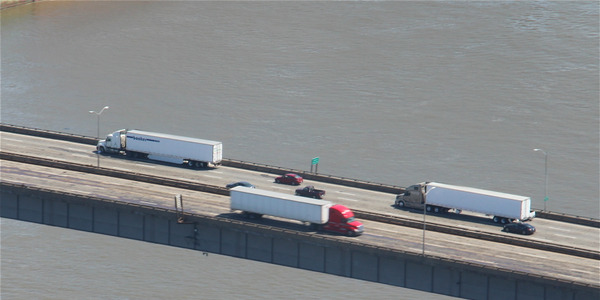 He referred to the “large amount of data available to our carriers through our market insight database, which has allowed us to aggregate information from all of our customers.” It can then make that data available to customers – for instance, being able to aggregate the market rate in a particular lane and how it’s trending, vs. the carrier’s rate. “This puts our carriers and brokers in stronger position to understand the rates they need to be charging in certain lanes,” McLeod said. 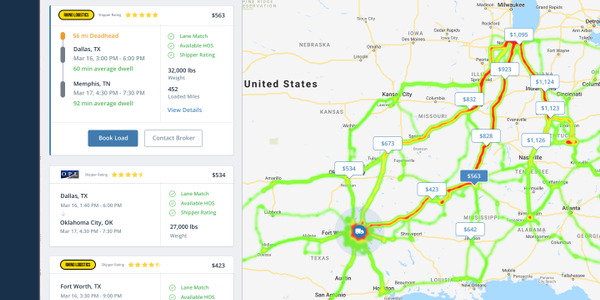 While some of this is already available, McLeod is working with this third party (which it does not yet want to name) to expand its data analysis and availability, including taking advantage of other data that’s available in the aggregate, such as spot rate data from Truckstop.com, even weather and traffic. There’s been a lot of buzz recently about blockchain and its potential to change everything from banking to transportation. Blockchain is a distributed ledger technology designed for transactional applications such as the movement of freight. It simplifies the management of transactional data by storing contracts and related information within transparent, auditable, secure “blocks” that are shared with multiple parties. 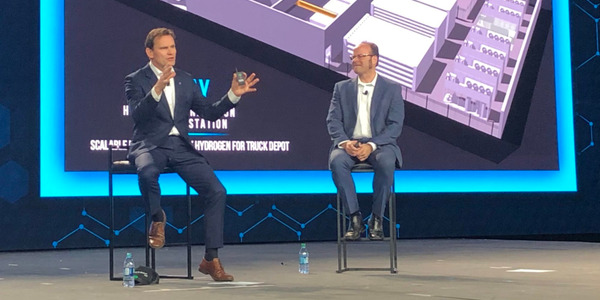 McLeod said its adoption in the trucking and logistics space will start with food, especially temperature-controlled products, as well as medicines – items that have a high value and a short shelf life. In some ways, he said, the visibility blockchain could provide into the supply chain could be compared to EDI – only it offers wider visibility. “I hesitate to say we finally are going to see the technology that could kill off EDI,” he said, noting that while the death of EDI has been predicted many times, from McLeod’s perspective there’s never been any sign of the volume of EDI transactions letting up. Ken Craig, McLeod’s vice president of special projects, explained that while most people are most familiar with blockchain from cryptocurrency such as Bitcoin, that confuses people. 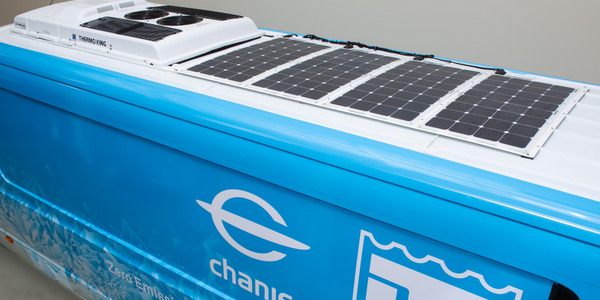 The kind of blockchain that will be used in trucking, he said, won’t be public like the type used for cryptocurrency, which also requires a vast amount of computing power. One of the benefits of blockchain, Craig explained, is that you can’t hack it because it’s distributed on every node.